In Nobel prize week, Philip Ball asks awards – what are they good for? When I was a chemistry undergraduate, my fellow students and I realized that if we were going to stand a chance of passing our organic chemistry exams then we’d need to find a tutor from another college. Ours seemed increasingly distracted, and was worryingly keen to hit the sherry during tutorials. The problem, everyone whispered, was that he’d become obsessed with winning the Nobel prize. That malaise isn’t so rare. The speculations and sweepstakes when Nobel season comes around are fun for most of us, but for those who feel they have a genuine chance of winning it could be agony, whether they are tipped for the award (how to manage expectations?) or not (because why not?). 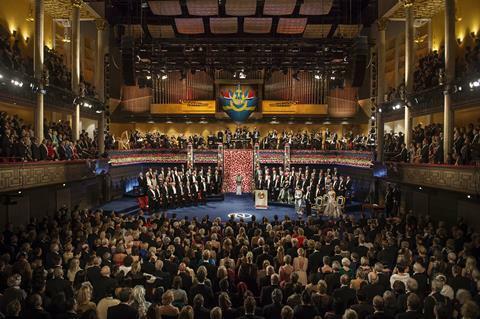 The Nobels highlight the febrile atmosphere that prizes engender. There are the rumours of biases in the Nobel committee, the veil of secrecy over the deliberations, the controversies about priority or exclusions that erupt after the announcements. The Nobels reveal science at its most human. And for the winners it is often a mixed blessing. Some Nobel laureates seem to become overnight celebrities whose opinions are sought on every issue under the sun. Some reject this guru status; others revel in it. For Marie Curie, the commitments that ensued from her 1903 physics Nobel had, she said, ’all the effects of disaster’. The Nobels are a perennial focus for debates about the value of prizes and awards in science. Do they have a place in an enterprise that presents itself as a universal, collective effort in which it’s the ideas and discoveries, not the people who make them, that matter? Or are they a motivator and a way to acknowledge excellence and achievement? The Nobel prizes are, for better or worse, the epitome of scientific glory. No other gongs are surrounded by such a media circus, are obligatory news for newspapers and broadcasting networks worldwide, and transform their recipients into such prominent public figures. At least for a few days each year, they can propel some of the most esoteric science in the limelight, and there is a certain grim satisfaction in seeing even the tabloid newspapers forced to grapple with G protein receptors or quasicrystals. That can’t be a bad thing for science, can it? Much is often made of the apparent irony in the inventor of an explosive bequeathing his fortune (31 million Swedish kronor, then around £1.7 million and equivalent to around £200 million in today’s money) to prizes that reward ‘those who, during the preceding year, shall have conferred the greatest benefit on mankind’. But the Swedish chemist Alfred Nobel may have been concerned as much with image management as with guilt. It’s said that he was moved to establish the prizes after reading an obituary of himself prematurely published by a French newspaper in 1888 which pointed out that, as the inventor of dynamite, he had got rich by inventing a way to kill more people faster than ever before. He wanted to be remembered for more than that. Nobel’s family was far from pleased to find after his death in 1896 that he had allocated 94% of his assets to the prize foundation. They were unable to change the will, however, and the first prizes were awarded in 1901; Jacobus van ’t Hoff was the first chemistry laureate. On the whole the Nobel committee’s choices stand up pretty well over the years: it can’t be said that some of the biochemists of the early 20th century are household names now even among chemists, but most of the ‘great men’ (and a scattering of great women) appear. Although the deliberations of the Nobel committee are a closely guarded secret – nominees for a given year are not disclosed until 50 years later – the process is exhaustive, with around 3000–5000 people being invited to submit nominations for each prize and typically around 300–500 nominations being received for each prize. Inevitably, the decisions still elicit grumbles. How did he qualify and not her? Was this work really more important than that? Is this stuff really chemistry anyway? And can’t something be done about the gender imbalance? Nobels may be the mother of all scientific prizes, but there are countless others. The American Chemical Society currently awards annual prizes in around 64 categories, from chromatography to entrepreneurial success, while the Royal Society of Chemistry confers more than 130. ‘Nobel prizes get a lot of general public attention but several other important awards go largely unnoticed,’ says chemist Ben Feringa, of Groningen University in the Netherlands, who shared the 2016 chemistry Nobel prize with Fraser Stoddart of Northwestern University in the US and Jean-Pierre Sauvage of the University of Strasbourg in France for their work on molecular machines. All of the RSC’s awards are more modest in their cash value – none is worth more than £5000. But while the financial component can be very significant for some winners, for example if the prize money goes to a school, it’s not only about the money, according to Deirdre Black, head of research and innovation at the RSC. ‘We have heard from winners of awards for academic research that what matters most to a person is recognition by their peers and by the RSC, support for their careers, the opportunity to make new connections, and the celebration of their research area,’ she says. Feringa feels that scientific prizes can be of definite value to the community. ‘I think it is important to recognize the hard work, creativity and accomplishments of science,’ he says. ‘Compared to sport and the entertainments sector, scientists don’t get much credit or public appreciation, let alone celebrity status, even though several of our young talented scientists accomplish more than a lot of other public figures.’ He points out that these young researchers often get overlooked in comparison to the attention lavished on prize-winning young artists or writers. Prizes can ‘expand the pie of recognition and awareness’, says Brian Uzzi, a network scientist at Northwestern University. Much of science is driven by papers that garner tens of thousands of citations, he says, but prizes can confer recognition on individuals who instead have a sustained body of more modestly cited work. They can also highlight under-appreciated fields. There wasn’t, for example, much public visibility of the work on topological phase transitions before the 2016 physics Nobel went to Michael Kosterlitz, David Thouless and Duncan Haldane. Even if we can agree that scientific prizes have a role to play, perhaps the most contentious question is: do they go to the right people? That might in the end come down to sheer personal opinion, but the first step in answering it is to ask who does win. 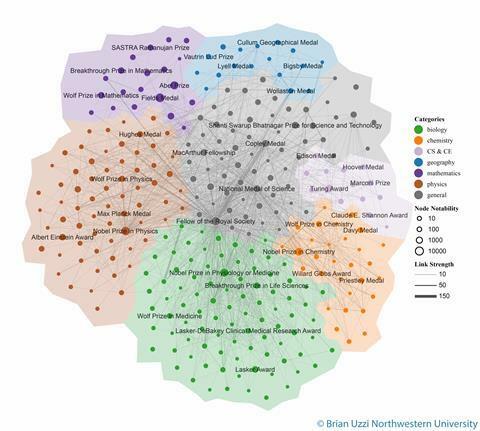 Uzzi and his colleague Yifang Ma have analysed the web of connections between the recipients of more than 3000 scientific prizes over a period of more than 100 years. They find that prizes are not evenly distributed throughout the scientific community, but tend, in Uzzi’s words, to be ‘concentrated among an elite set of multi-prize winning scientists’. For example, 64% of prizewinners have won two prizes, and about 14% have won five or more: smaller prizes are often stepping stones to larger ones. This concentration of winners has got stronger since 1985, Ma and Uzzi say. What’s more, scientific ‘genealogy’ and co-authorship are good predictors of prize recipients. Uzzi suspects that the clustering of prize-winners might instead have something to do with skills passed on by mentoring – as the link to scientific genealogy suggests. Uzzi points to the work of American sociologist Harriet Zuckerman, who has argued that winning a scientific prize relies more on tacit, craft-like knowledge than on book-learning: how to respond to reviewers, frame radical, iconoclastic ideas in palatable form, combine existing ideas into something new. 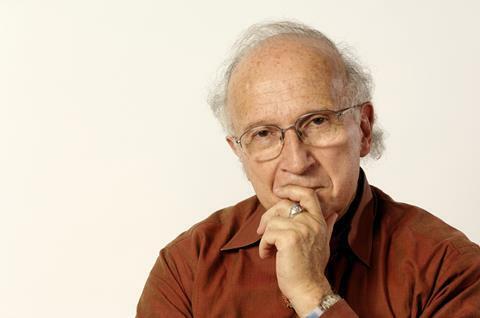 ‘The apprentice or collaborator of a prizewinner would have an opportunity to learn the prizewinner’s tacit knowledge, making mentor–mentee networks important in predicting future prizewinners and topics, as well as drawing attention to the important ways in which mentorship can advance breakthrough work in science,’ says Uzzi. 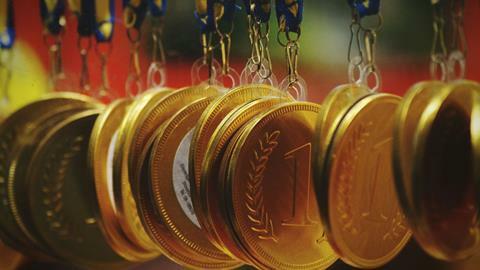 But can a big prize like a Nobel actually be something of a hindrance? After her 1903 Nobel, the reclusive Marie Curie was forced to endure endless and often mindless interviews, invitations to public events, and streams of letters from beggars, cranks and social climbers, leaving little time for serious work. ‘One would like to dig into the ground somewhere to find a little peace,’ she wrote. 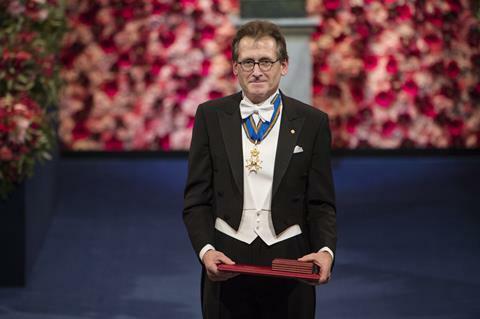 ‘The Nobel prize does of course seriously affect the time you can spend on science in the lab if you engage in activities around the world, outreach and societal commitments,’ says Feringa. But he has managed to keep a sizable research team running. 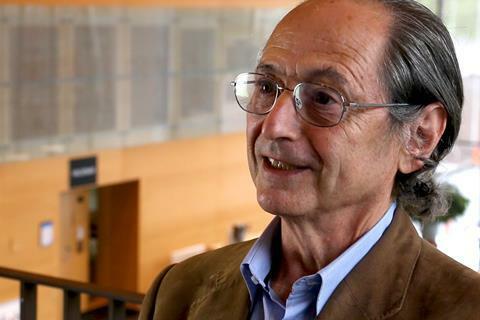 ‘I am extremely proud of what my students accomplished after the Nobel prize,’ he says. Levitt says his Nobel has not hugely changed the way he works. ‘Clearly it makes a difference but I still do all the things that I used to do. At Stanford there are no direct benefits, not even a parking space.’ (With a sly nod at some US universities’ habit of giving their laureates plum parking spaces, the University of Groningen gave Feringa a special bicycle-parking space, with a plaque reading ‘Reserved for Nobel Laureates’.) One clear benefit, though, Levitt adds is that ‘people answer my emails more often’. Of course, nothing about a Nobel or any other prize uniquely qualifies recipients to act as good spokespeople for science. Some, like Feringa, rise splendidly to the challenge. But one can pick out a rogue’s gallery from past Nobel laureates: the racist, eugenicist French surgeon Alexis Carrel (medicine, 1912), Kary Mullis (chemistry, 1993) who denied the link between HIV and Aids (‘They can’t pooh-pooh me now, because of who I am,’ he once said after his Nobel award), and outright Nazi sympathizers like Philipp Lenard (physics, 1905) and Johannes Stark (physics, 1919). There are some brilliant scientific minds we might prefer not to hog the limelight. Nobels and other prizes are clearly here to stay, but does the practice of bestowing recognition (and sometimes enormous wealth) on individuals still reflect the way science is done, in an era of huge research groups, collaboration and teamwork? One of the consistent criticisms of the scientific Nobels is of the limitation of the award to three living individuals at most, although the peace prize has long reconciled itself to the need to reward organizations rather than individuals. The fourth award, in 1904, went to the Institute of International Law. There have been many instances where individuals who played an important role in discoveries were crowded out or died too early – the Higgs boson is one such, proposed in the 1960s by as many as seven people independently but only two were recognised by the physics Nobel committee in 2013. And several recent Nobels were tacitly recognized as being granted to the figureheads of large initiatives, such as the Human Genome Project and the team that detected gravitational waves. Is giving recognition and glory to just one or two individuals fair when science is a team game? ‘It is true that much of science has changed from being done by single individuals to groups of varying sizes,’ says Hansson. ‘These groups or teams usually have intellectual leaders, and it is a challenging task for the Nobel committee to identify them.’ The UK’s Academy of Medical Sciences has for the past six years or so conducted a project on ‘team science’ that considers how ‘current recognition frameworks do not always adequately capture or celebrate individuals’ contributions to team science projects’. Although its 2016 report does not comment on prizes as such, the initiative reflects a growing sense that science needs new frameworks that acknowledge how it has changed since the days when the pace was set by lone pioneers at the benchtop. Perhaps one of the most appealing features of prizes is that, while most people in a field know who the ‘top achievers’ are, awards can also recognize undervalued contributions not apparent in, say, literature citations – such as teaching and mentoring. ‘Many organisations are expanding the range of types of excellence that they recognize’, says Black. ‘Recognition not only raises the profile of work and contributions, but also – intentionally or unintentionally – can act as a powerful incentive or signal.’ She cites the RSC’s launch in 2017 of an Inclusion and Diversity Prize ‘to recognise an individual or team’s contribution and impact in promoting and improving the accessibility, inclusivity and diversity of the chemical science community’. The ACS too has several scholarships and awards to support young female researchers faced with hardship. ‘Prizes can also raise awareness of inequality in science and promote debates about merit and fairness,’ agrees Uzzi, citing the discussions that ensued when Elinor Ostrom became the first woman to win the Nobel prize in economics in 2009. He says that his further studies of prize networks have found that ‘women and men win prizes at their expected base rates, but women scientists are over-represented winners of low-status prizes and under-represented winners of high status prizes’. The Nobel committees are regularly criticised for a lack of diversity among their laureates, which Hansson acknowledges. ‘The Nobel prizes reflect the society we live in,’ says Hansson. ‘Scientists nominated for the Nobel prize today usually went to school 40–60 years ago, when few women studied science and became scientists. Therefore, the pool of potential candidates is severely skewed with regard to gender. If you take that into account, there is no substantial bias in the Nobel system.’ He adds that ‘we encourage all those who are invited to nominate for the Nobel prize to consider women scientists who have made important discoveries, but we will not make special quotas for gender or ethnicity. Women who receive the Nobel prize get it because they are outstanding scientists who deserve to be awarded, not because they are women.’ The Nobel committee has for the first time now suggested to nominators that they consider diversity in gender and nationality for the 2019 prizes. Awards can be used to make a statement about such disparities and inequalities, though. Opinion is pretty unanimous today that astronomer Jocelyn Bell Burnell should have had a share of the 1974 physics Nobel that went to her supervisor Antony Hewish for the discovery of pulsars, but in those days graduate students were often overlooked for their role in discoveries. Not only has Bell Burnell consistently accepted the situation with grace, but when this September she was awarded the £2.3m Breakthrough Prize in recognition of her work, she immediately pledged to use the money to redress diversity imbalances in science. That’s some contrast with Alexis Carrel, who used the prize money to buy a private island off the French coast. Roald Hoffmann, 1981 chemistry Nobel laureate for the Woodward-Hoffmann rules of reaction stereochemistry, has a wry view of the prize. ‘Does it affect our professional opinion of what is good chemistry? Hardly.’ And does it make people (other than the mothers of the recipients) happy, he asks. On the contrary, he writes, ‘prizes on balance may generate more pain than happiness’. Hoffmann’s 2001 play Oxygen, written with his friend and fellow chemist Carl Djerassi, examined the tensions and rivalries of the Nobel committee’s deliberations. Djerassi himself, who played a key role in the development of the contraceptive pill, was one of the committee’s more notorious oversights, and may have been somewhat haunted by that. But Hoffmann thinks that for all their foibles, the Nobels fulfil a vital role in science. ‘By recognizing excellence, [they] evoke aspiration,’ he writes, ‘especially for young people.’ They show what is possible. Before Kenichi Fukui shared Hoffmann’s Nobel to became the first Japanese Nobel laureate in chemistry, he says, some young Japanese chemists ‘might have actually believed our silly prejudices of Japanese not being original’. Likewise, Egyptian chemist Ahmed Zewail’s 1999 Nobel for his work on femtosecond chemistry ‘has served to begin to remove from millions of bright young scientists in the Islamic world the unnecessary burden of an inferiority complex’. The Nobel Foundation, says Hoffmann, ‘has invented the dream machine’. Levitt agrees with that. The dream of winning a Nobel, he says, ‘is what made me choose a career in science when I was 17 years old. Many laureates tell this same story’ – as, indeed, does Hoffmann himself. I hope that was true for my former tutor, who never did win a Nobel. His research was no less important and brought many other honours and distinctions. I like to think he made his peace with that.